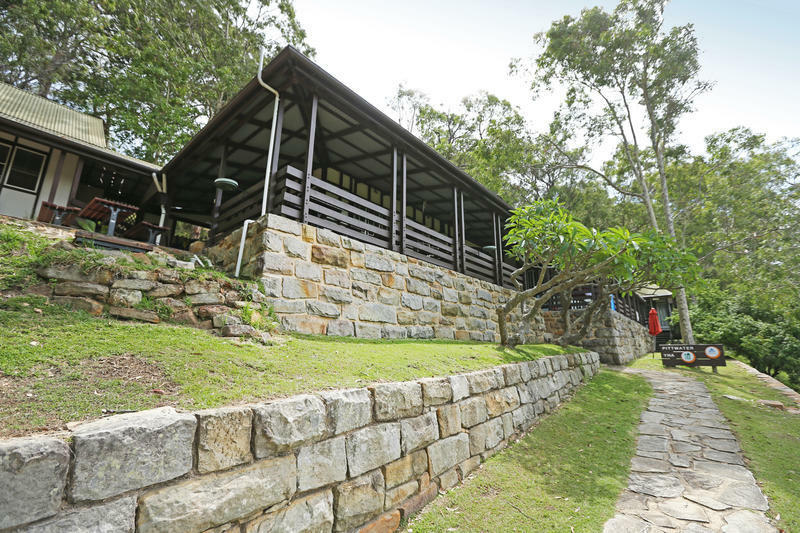 Located within the Ku-ring-gai Chase National Park, this beautiful backpackers hostel is only 30 km north of Sydney's central city area. It is the perfect city escape. 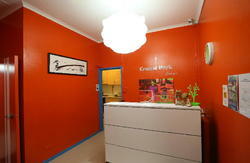 The hostel has 8 bedrooms, a very well equipped kitchen and a cosy lounge room with a log fire for colder times. The verandah has stunning views across Pittwater harbour to the National Park. Take a scenic ferry ride, sail on the harbour or bushwalk to aboriginal engraving sites and stunning lookouts. Hire a kayak for a paddle around the bay or just relax in a hammock with the wallabys beside you and the native birds above. Bring your food as there are no shops at the hostel. If travelling with bed linen (top +bottom sheets and pillow slip) bring these otherwise hire at $3pp. Do not bring sleeping bags. 1 hour bus journey from the city to Church Point, then take a ferry or water taxi to Halls Wharf and 15 minute walk on bush track uphill to the hostel. Direct bus 156 from Manly or E86 from city in peak hours with prepaid ticket. Alternatively, from city, L90 bus with change to 156 at Mona Vale. Last ferry from Church Point is 7pm weekdays and 6.30pm weekends. Water taxi until midnight. WE ARE WATER ACCESS - YOU CAN DRIVE TO CHURCH POINT BUT NOT TO THE HOSTEL DOOR. Public car park at the Point is pay and display. or park in nearby streets - eg Eastview Road. Bring torch if arriving after dark. ARRIVALS 12pm - 8pm OR AFTER 8pm BY SPECIAL ARRANGEMENT - CONTACT HOSTEL TO CONFIRM YOUR LATER TIME.